Before making decisions in choosing the right kind of hosting service for your organization, few concepts and features of LMS need to be understood. Definition: Commonly known as SaaS LMS, the software comes as a service and is hosted on the LMS provider's servers. Deployment Mode: No need to install. Service is hosted on the cloud. Installation Charge: No installation charges. Data Backup: The data is securely stored in the cloud and you don’t need to create any backup for your data. Compatibility: Is compatible with multiple platforms and runs across all kinds of devices. Hardware requirements: No hardware required to host LMS. You can access the LMS at any time from any device with internet connectivity. Upgrades & Updates: Free, seamless updates and bug fixes without any additional technical work from your end. Safety & Security: Most of the enterprise software nowadays are deployed on the cloud. It’s safe and you also don’t have to worry about hackers or viruses as the vendor ensures that your LMS system remains secure. Definition: The LMS comes as an enterprise software product and is hosted in your company's servers. Deployment Mode: It can be installed locally into your computer or server. Installation Charge: Depends on the vendor. Data Backup:You need to create your own data backup. Compatibility: It differs with every software as it depends on the vendor. Hardware requirements: You need to host the LMS in your company’s data servers. Upgrades & Updates: Upgrade requires fee as well as technical guidance from an IT team. Safety & Security: Is safe if you have a professional IT team which administers and manages your LMS. Note that above capabilities of LMS affect the server load greatly, so it is very important to understand about all the available choices and what suits your requirements. If the business you are setting up has a low budget or small capital investment, you should opt for a hosting service provider rather than going for in-house hosting. When opting for the second option you will only have to deal with OPEX (Operating Expense), while companies such as (ProProfs – A SaaS Company) that is providing the service will take care of server uptime as well as downtime due to hardware issues (systems are built with redundancy). In addition to this, customer support, bug fixes and ongoing software enhancements are also provided. So, there’s no need to hire extra IT professional staff for server management. Learning management system is only as good as the courses that are provided by it or made through it. 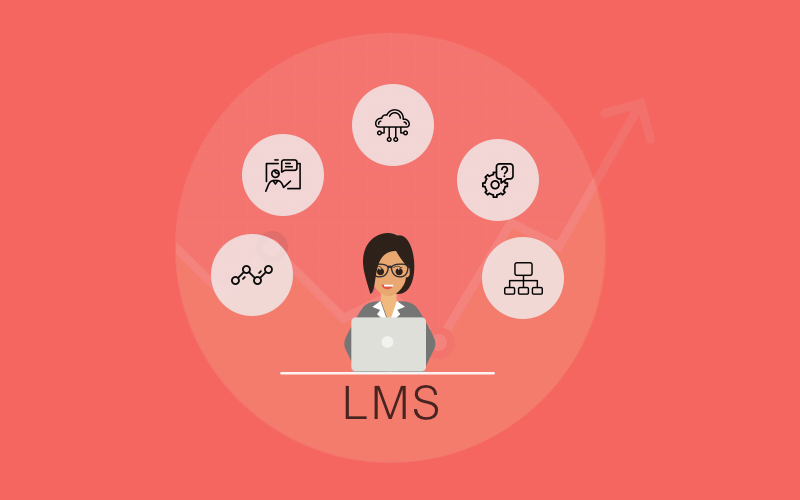 Also, many LMS provider companies come with their own online course designing systems like the Training Maker, where you can efficiently and easily design courses and that are SCORM complaint and ready to apply on an LMS. One of the major concerns, which has always been with servers is the load management issue, since LMS is such a vast software, servers running a single instance of LMS are only capable of handling a limited number of users simultaneously. If such a situation arises, it is best to form clusters and run multiple instances of the LMS system which is to be used. Or, a more plausible scenario would be to go for Virtualization on the same system using Hypervisor, which is helpful in cases where adding additional hardware for creating more servers and making further instances is not feasible. Hosting options for an LMS are many and become more complex as the needs and requirements expand. So, you can choose any, depending upon your investment plans, the needs you are trying to fulfill and what volume of users you are expecting.